Mark Barden is Course Leader for BA (Hons) Sports Journalism at London College of Communication. Mark began his career in local daily newspapers on the south coast before joining BBC TV as an Editorial Publicity Officer - a great job that mainly involved interviewing celebrities. He also spent two years as a publicist for BBC Sport before joining the BBC Sport website as a reporter ahead of its launch in 2000. Mark worked mainly as a multi-platform news editor and sub editor, reported from numerous major sporting events, and wrote about American sport when he thought no-one was looking. 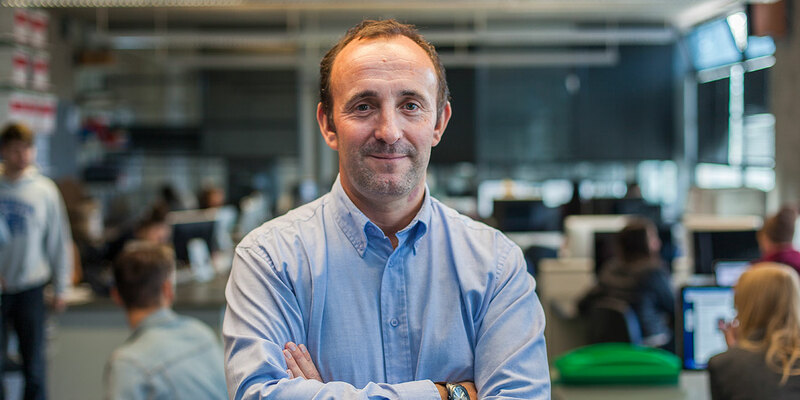 After leaving the BBC in 2011, he joined Metro newspaper as a sub editor on its tablet, smartphone and Kindle editions, and began teaching journalism and sports journalism part-time at degree level. He made the switch to full-time teaching at London College of Communication in July 2013. A graduate of what is now De Montfort University, he completed a Masters degree in Mass Communication at Leicester University. Mark's aim as a teacher is to help make LCC's journalism courses both challenging and rewarding, and to equip graduates with the skills and confidence they need to forge successful careers in today's fast-moving media industry.